The book launch presentation for the CBHA/ACHA book Becoming 150: 150 Years of Canadian Business History is now posted to the organization’s YouTube Channel. 150 Years of Canadian Business History was a national 2-day conference highlighting 150 Years of Canadian Business, presented in conjunction with Canada’s Sesquicentennial birthday celebrations. The conference was multi-disciplinary and participants included academics, business leaders, professional archivists, students and the public from across the country. The book presents informative insight into the development of Canada’s economy and business sectors since Confederation in 1867. This book is a must read for business people, students and entrepreneurs, and is composed of 18 essays written by business people, academics and recent graduate students outlining the history of Canadian businesses in 8 different topics. Subjects covered include the financial sector, women in Canadian business history, industrial and manufacturing, rural business history, and more. Paperback. 260 pages, including Index. You can place your order for the book HERE and receive free shipping! 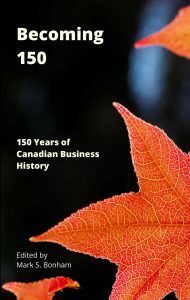 We are pleased to let you know that orders for the conference book Becoming 150: 150 Years of Canadian Business History are now available for immediate delivery. Receive free shipping on all orders for a limited time only. Becoming 150: 150 Years of Canadian Business History presents selected papers from the CBHA/ACHA Annual Conference 2017. The book presents informative insight into the development of Canada’s economy and business sectors since Confederation in 1867. This book is a must read for business people, students and entrepreneurs, and is composed of 18 essays written by business people, academics and recent graduate students outlining the history of Canadian businesses in 8 different topics. Subjects covered include the financial sector, women in Canadian business history, industrial and manufacturing, rural business history, and more. Paperback. 260 pages, including Index. The commemorative book of proceedings from the conference 150 Years of Canadian Business History will soon be released. 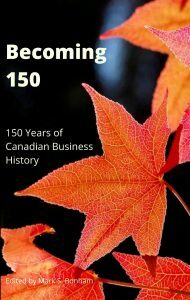 Titled Becoming 150: 150 Years of Canadian Business History and Published by University of Toronto Press, the book contains the presentations made in many of the sessions and the Keynote Presentations. There are nine sections to the book containing 19 essays on various relevant topics. The topics range from Women in Canadian Business History to The Role of Archives and Sources in Canadian Business History. Contributors include Jim Leech (former CEO, Ontario Teachers Pension Plan), Douglas McCalla (University Professor Emeritus, University of Guelph), Robert McIntosh (Director, Library & Archives Canada), Amelia Young (Founder, Upside Consulting), and many more. You can see more about the CBHA/ACHA at its dedicated website HERE. Stay tuned for more information about the book and a book launch! The meeting will begin with the formal business agenda: election of directors, Financial Statements, Appointment of Review Auditor. The 2017 Annual Report can be viewed here. 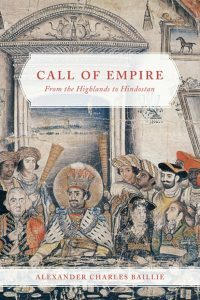 on the history of the East India Company. 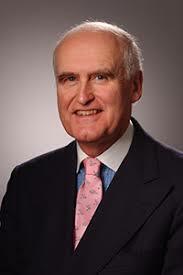 Mr. Baillie will be offering signed copies of his book after his presentation. The Canadian Business History Association – l’association canadienne pour l’histoire des affaires (CBHA/ACHA) is pleased to announce that the website dedicated to the 150 Years of Canadian Business History Conference is now live. Organized to celebrate Canada’s sesquicentennial, the conference was held at the University of Toronto in September 2017. A host of Keynote speakers (4), sessions (14) and session speakers (40) presented on the history of Canadian business across many disciplines and professions. These presentations are now archived for future generations of individuals interested in the study of Canadian business history.